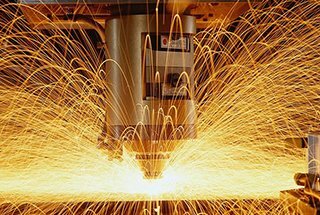 Laser cutting is now the mainstream of metal sheet processing. 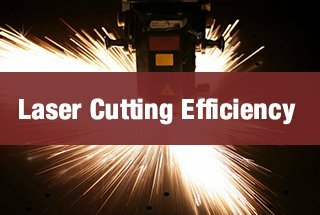 Because of its fast processing speed and high requirements for positioning speed and acceleration, the design of the laser cutting machine transmission system has certain particularity. 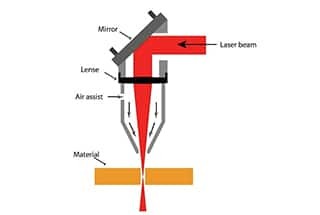 The stroke represents the range of processing of a laser cutter, determining how big of a workpiece the end user can process, and is the most basic parameter. The most mainstream processing range is 3m x 1.5m. In this dimension, it can achieve the perfect balance of mechanical properties, processing range and manufacturing cost. However, with the improvement of the overall industrial level, the share of large-size models has been increasing year by year. 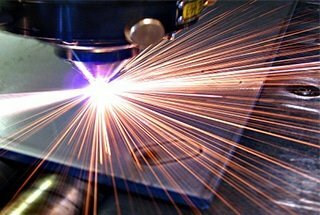 As a special machine tool, laser cutting machine is similar to the traditional cold machine tool. 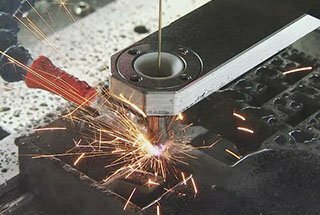 The overall frame of transmission is basically the same, but generally speaking, laser cutting is not used as a precision machining purpose, so the absolute precision of transmission is slightly lower than that of NC cold machine tool. 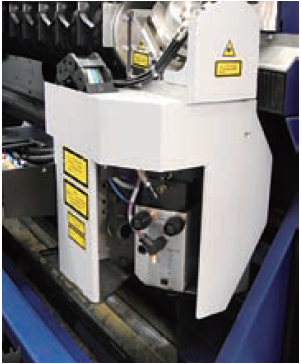 The positioning accuracy of the machine can reflect the manufacturer’s positioning and the input of the product and the precision grade of the selected transmission parts. 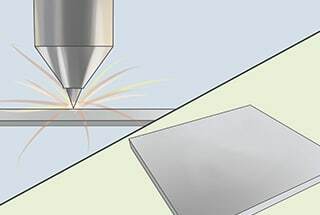 However, for laser cutting, the positioning accuracy can not have a significant effect on the final processing effect (such as the size tolerance of parts and the quality of the cut section). 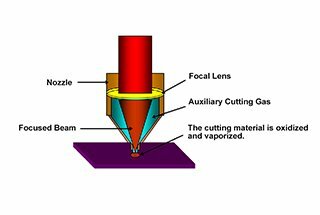 But for some fine cutting, the laser cutting equipment can precisely cut a dozen microns of the slit, which is in the same level as the laser cutter’s operation accuracy. At this point, the positioning accuracy is very important. 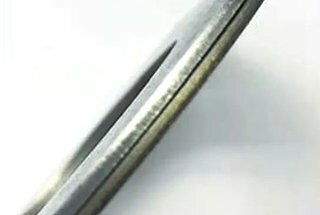 The reposition accuracy achieved by laser cutting machine depends largely on the reverse clearance of the transmission chain, which is similar to the traditional cold machining. 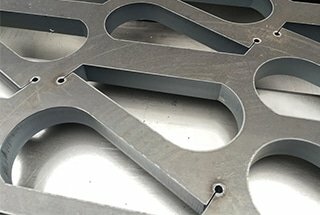 The reverse clearance of laser cutting machine also has some influence on the roughness of the section. Users who are very picky about the quality of section cutting should pay a little attention to this indicator. 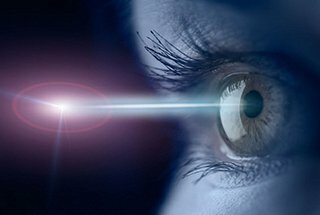 Position speed, which is the most obvious technical parameter of visual effect, is the key index that each manufacturer pays attention to. 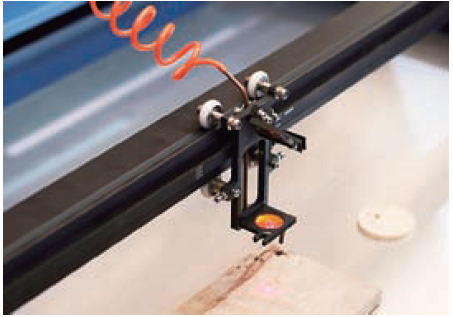 It is often used as the main basis for the classification of mechanical properties and grades of laser cutters. At present, the top models have broken through the single-axis positioning speed of 100m/min successively. High positioning speed has an obvious effect on improving the efficiency of sheet processing. However, for medium thickness plate, due to the cutting speed limit, it is not very important to shorten the overall processing time. 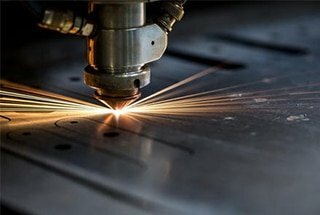 Because of the high flexibility of laser processing, high-speed cutting of complex parts has become the main means for various manufacturers to display mechanical properties. 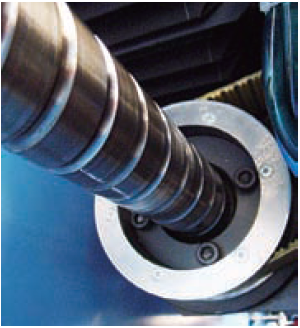 High-speed cutting requires high output torque for the motor. The transmission chain needs high efficiency and fast response, so as to ensure the accuracy of the track and meet the requirements of blanking. So the acceleration is as important as the positioning speed. And at the same time, there is a contradiction between high speed and high acceleration. This requires the cutter manufacturer to carefully balance the relationship and find the optimal solution through calculation and experiment. 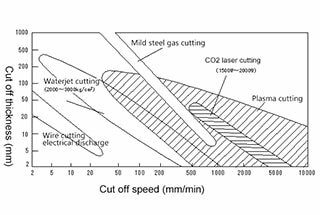 In the high-speed process of the laser cutting machine, the internal stress of the transmission chain can fluctuate violently. If the transmission rigidity is insufficient, it is easy to cause the track distortion and slow response of the final output, which cause the dynamic operation accuracy is far from the low or static measurement values, and then affect the dimension accuracy and roughness of the workpiece. But the index is not easily quantified. The toothed synchronous belt (FIG. 1) is mainly composed of belt wheels and belts. Normally the drive wheel and the servo motor also use the reducer for torque amplification. Toothed synchronous belt has the advantages of fast speed, low noise, low cost, no lubrication and easy maintenance. The disadvantage is the rigidity difference, easy wear and tear, low accuracy, small driving force. Suitable for low cost, light load, high-speed application. 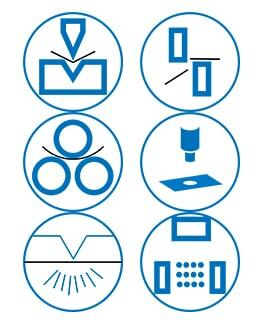 It is widely used in small and medium power laser cutting and marking equipment which is low cost and not exacting inaccuracy. For high speed and high-precision laser cutting equipment, the running precision of synchronous belt is obviously not enough. The bearing capacity is also not enough to directly drive heavy rigid and large-sized moving parts. 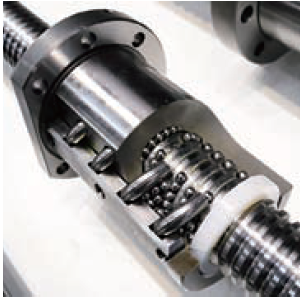 The more common arrangement is to put it in the drive chain of the high-speed ball screw and other institutions to form a two-stage drive. In the entry-level product of high-power laser cutting machine, Z-axis drive is directly driven by the synchronous belt (figure 2). Fig.2 The upper and lower movement of the z-axis section cutting head is driven by the synchronous belt. For the three-axis 2D machine, the transmission accuracy of z-axis usually does not affect the cutting precision and quality. This design cleverly utilizes the advantages of fast, low noise and low cost of synchronous belt transmission, and avoids the disadvantages of low accuracy of synchronous belt transmission. Ball screw (FIG. 3) is the preferred driving scheme for all kinds of cold processing equipment. The technology is mature and the cost is moderate. By applying pre-pressure or lead excursion, it can realize zero clearance in real sense and still maintain good transmission efficiency and rigidity. High precision wire rod with reasonable support structure can obtain high operating accuracy. And transmission efficiency is usually up to 95%, which is an ideal driving way for all aspects. But the application of ball screw in laser cutting machine has its limitations. Since the ball screw is usually supported by two ends, because of its weight, there will be a certain droop in the center of the screw. The deflection of this part will jump when the screw is rotated. This is especially obvious at high speeds rotation. To suppress this jitter, you need to select a thicker wire rod. The cost of manufacturing and the load on the motor also increased rapidly. Therefore, for the laser cutters with the short stroke and small cutting area, the ball screw is the first choice of the driving method. Its accuracy, speed and cost are well accepted. However, for the application of long stroke (≥3m) and high speed (≥60m/min), it is not the optimal method to integrate the ball screwdriver. Although it can realize the long stroke high-speed application of ball screw by nut rotation or add an auxiliary support device for automatic avoidance nut movement, its technical difficulty, cost and reliability are faced with great challenges. 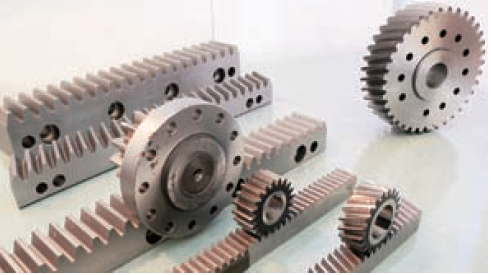 The gear rack is usually combined with planetary gear reducer or turbine worm reducer to match the inertia and amplifying torque. 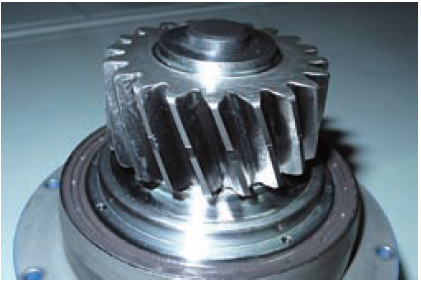 There are also some manufacturers that use torque motor to connect directly with the final gear. The high precision gear rack is very close to the ball screw in positioning accuracy. It can easily reach the positioning accuracy of 0.03mm/m, which is higher than the precision required by laser cutting. In terms of speed, because the gear and rack can be realized by changing the gear teeth number, reducer speed ratio to realize a variety of combinations. And there is no limit on the critical speed limit of the ball screw, it is easier for servo motor to work in high-speed range and shorten equivalent pitch to make smaller motors drive a large inertia load. The theoretical limit of gear and rack can reach 400m/min, and it is easy to reach 100m/min. Straight teeth and skewed tooth are widely used in the laser cutting machine. 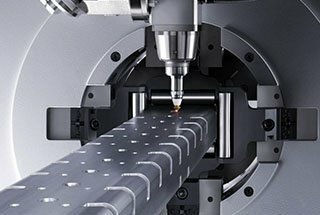 It is easier to install and detect the inclined teeth and obtain higher operating accuracy under the same machining accuracy and installation conditions. The advantage of skewed teeth is that the bearing capacity is slightly higher than that of the straight teeth. Or smaller under the same load, which makes the design more compact. However, the most obvious difference between the two is that the noise is relatively small of skewed teeth at high speed, and provides a better operating environment for operators. As long as the bed can maintain sufficient precision and rigidity, the stroke can almost indefinitely extend, and the manufacturing cost basically increases linearly. But the gear rack (figure 6) also has its drawbacks. For example, it makes higher requirements for the machining accuracy of the bed. The installation process and difficulty are also more complicated than ball screw. And due to the requirements of lubrication and thermal expansion, there is a certain backspace between the gear rack and rack. The planetary reducer in the transmission chain also has a small but perceptible reverse clearance. The accumulation of the two makes it difficult for the gear rack to achieve zero clearance operation effect like ball screw. By means of the double motor, double reducer or other elastic means, the weight, cost, driveability and other indicators are very unfavorable. 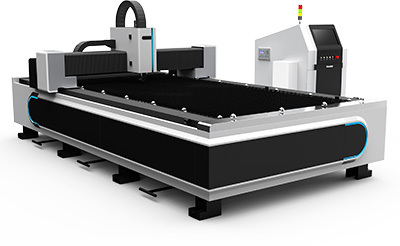 However, it is, fortunately, the two-stage gear rack with reasonable design and precise construction can meet the precision requirement of the mainstream laser cutting well at the current time, and there’s still a lot of room to develop. 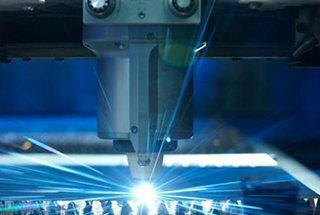 For comprehensive consideration, the precision of pinion and rack drive can satisfy the laser cutting need, and it is very flexible in the selection, can give full play to servo motor performance and make it easier to achieve high dynamic performance. Therefore, the gear rack drive has become the mainstream driven solution for high power laser cutting machine. Linear motor, as a new driving mode, has been widely used in various NC equipment, and including a laser cutting machine. (1) There is no mechanical contact, the transmission is generated in the air gap, and the drive component has no direct wear. (2) Stroke is theoretically unlimited and performance will not be affected by changes in the itinerary. (3) It can provide a wide range of speed, from several micrometers to several meters per second, especially the high speed is a prominent advantage. (5) High precision and repeatability. The accuracy of the system depends on the position detecting element because of the elimination of the intermediate link. With appropriate feedback device, the final operation accuracy can reach the sub-micron level. 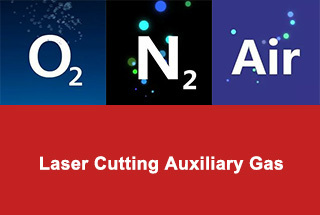 This feature has been widely used in the field of laser precision cutting. Due to the advantages of the linear motor, the industry records of the speed and acceleration of the linear motor are mostly created by this kind of laser cutting machine. On the surface, the linear motor can gradually replace the ball screw and gear rack as the mainstream of the laser cutting machine. (1) Linear motor consumes too much power. Especially in the high load and high acceleration, the instantaneous current of the machine can bring the heavy burden to the power supply system of the workshop. Due to the low dynamic rigidity of linear motor, it can’t cushion the damping effect and easy to cause other parts of the machine to resonate at high speed. The linear electric motor fixed at the bottom of the workbench is a high heating element. 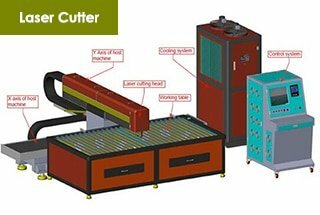 The installation position is not conducive to natural heat dissipation, which poses a great challenge to the thermostatic control of the laser cutter. In order to ensure safe operation, the motor shaft driven by the linear motor, especially the vertical axis, must be equipped with an additional locking mechanism (like the guide clamp), which increased the cost and complexity of the laser cutter. (5) The linear motor will generate a strong magnetic field and adsorb iron filings. 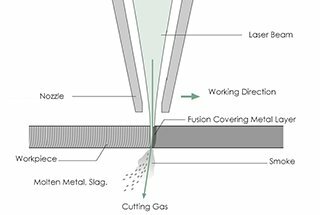 The laser cutting operation environment often has a lot of tiny metal dust that is melted and cooled by the laser. It is very bad for the linear motor to keep internal cleaning. Many foreign manufacturers such as MAZAK and AMADA have introduced complete or partial linear motor driven models to demonstrate their technical strength and create speed records, but high prices and modest returns have made the market for this type of model less receptive. There is no doubt that the excellent performance of linear motors represents a trend in the future. 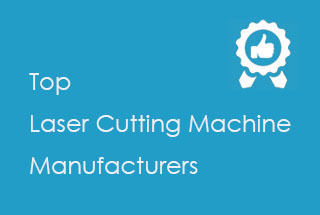 However, there are still many practical problems in the application of laser cutting machine drive. The good dynamic response is the common pursuit of all kinds of precision CNC machining equipment. 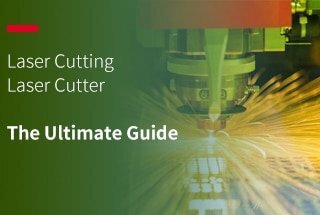 This is especially true for laser cutting machines that are good at high-speed machining. Achieving this goal is a huge and complex system project. In short, hope there is good load (lightweight, high rigidity, small inertia), good transmission chain (high rigidity, fast response, low back clearance, high efficiency, low friction), and good motor (inertia matching, quick response, strong torque). However, most of the above factors are contradictory. Therefore, it is the premise of realizing this goal which includes the scientific selection and reasonable drive design. 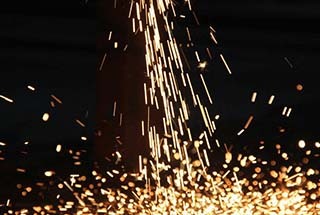 Each manufacturer has its own characteristics in understanding and choosing this factor.